I’d love to start something that would help fill schools with Musical Instruments. Growing up my high school was fortunate to have a few spare instruments around in which I was able to pick up and learn however, not all school programs are able to stock extras. Not just high school though, elementary and or programs that would really get the younger kids involved and able to express their musical interests early on. 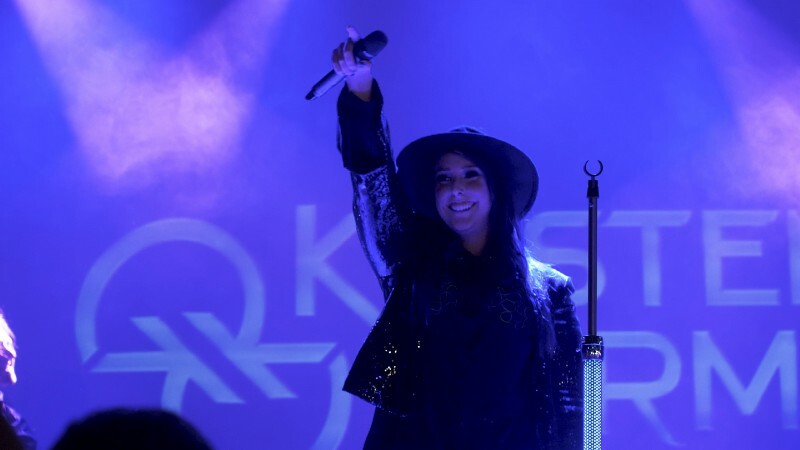 As part of my series featuring the rising stars in the music industry, I had the pleasure of interviewing Electro-pop Singer Songwriter Kristen Karma. Kristen’s music career has already blossomed in the pop/dance scene in her hometown of Vancouver. 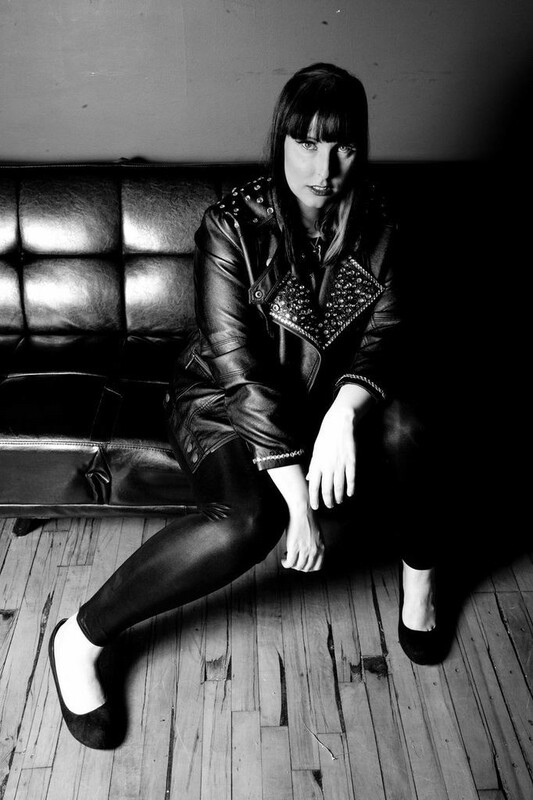 Now located in Toronto, Kristen Karma is no stranger to the ever growing music industry. Karma not only wields a certificate in Audio Engineering from Hot Sole Music, but has studied voice with Judith Rabinovitch, who has worked with the likes of Avril Lavigne and Sarah McLachlan. Even though much of her formative years were devoted to a theoretical and exacting world of ballet lessons, Air Cadets, Military Marching Bands, and The Royal Conservatory of Music, some of the only evidence that remains of her past is the neon pink tulle that shoots out from under her black corset. It’s undeniable — Kristen Karma is a band nerd. But she is a band nerd who might punch you in the face for showing up late to practice. Her current single “Party Heroes” has her hard pounding electronic dance sound that is sure to bring your to your feet. The clever constructed lyrics and catchy beats combined heavy powerful guitar solos will leave you wanting more. Already garnering rave reviews with the infectious sounds throughout, this sees Kristen moving into a new stage of her music career. Released in April 2019, the song reached the iTunes Canada Pop chart Top 20, peaking at #17. 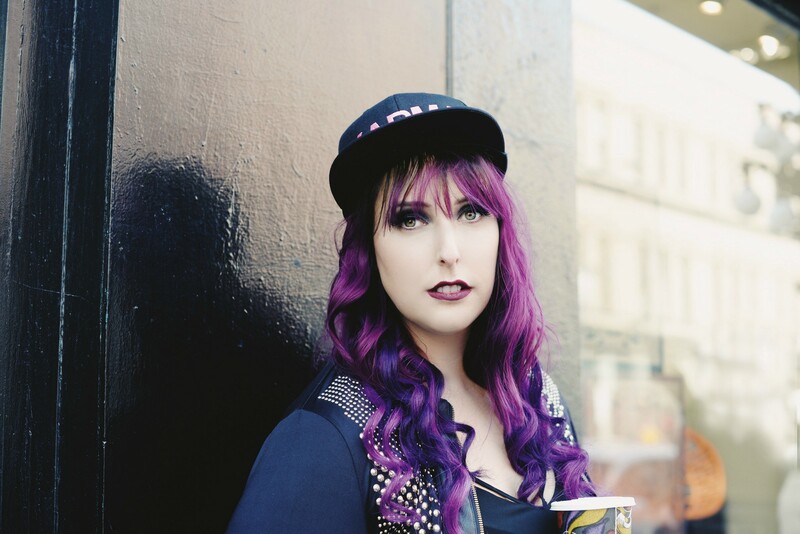 In 2013, Kristen Karma was selected as one of two performers to play the Lady Gaga Born This Way Ball After-party and open for Tour DJ/Lady Gaga BFF Lady Starlight in Vancouver. With rave reviews from her performance, she then went on to work with lil’Jon on her single “Sirens.” In 2017, she opened for Grammy Award Winner Akon in Guelph, Ontario on his Canadian Promo Tour. Hot off the heels of her performance, Kristen was then approached and selected to play the Lady Gaga — Joanne World Tour VIP After-party once again in Vancouver after Lady Gaga’s performance at Rogers Arena. Karma continues to wow audiences with her energetic live performances, and she does it all with a neon pink microphone in hand. Thank you so much for joining us Kristen! Can you tell us a story about what brought you to this specific career path? Music has always been an important aspect of my life. When I was younger I begged my parents for a piano so I could learn and when I came home one day I was shocked and immediately fell in love with the instrument. From there I went on to join a Brass & Reed Marching Band and a Pipes & Drums bands learning about different instruments, rhythms, harmonies and how different instruments work together. I dabbled on a few different instruments in high school and when I graduated I went to school for Audio Engineering. The stage is where I felt the most comfortable though. I joined a few bands in Vancouver but after writing and arranging most of the music I decided I would take a stab at going solo. I love how I am able to share my experiences and stories with others and have them relate. I was working with a team a few years ago and by chance they had an act drop out of a show that was ultimately opening for Grammy Award Winner AKON. Even though my style was a little off what they were looking for, I made my case so well that I got the slot! Currently I am getting ready to release my single Party Heroes, and am back in the studio with Mark Zubek to finish off my Album! There’s always a lot of really neat and interesting people in this industry. A few years ago I was playing Lady Gaga’s Official After-Party for the Born This Way Ball and was opening the night for DJ Lady Starlight. Before my set I had a chance to meet her and had a good conversation with her. She was extremely down to early and very fashionable! Lady Gaga has been a huge inspiration to my music. Her songwriting and performances are top notch. She’s relatable and not afraid to show who she really is. I’ve seen her grow over the years and it’s what I strive for in my career. On the other hand, my mother is another huge inspiration. I have seen her be strong and defeat Cancer twice, and had everything you could possibly imagine thrown at her yet she still wakes up with a smile every day. She’s taught me to believe in myself even though I’ve had the roughest times or feel like giving up she been there to remind me how far I’ve come what I have yet to accomplish. She continues to inspire me every day. Absolutely. In 2013 my mother was diagnosed with Cancer and I wrote her a song called “Believe” and gave it to her for her birthday. I then recorded an acoustic version of it and shot a music video which then was taken to new heights! It had reached out to the Canadian Cancer Society and it was circulated around quite a bit! A lot of listeners reached out to me on how the song had changed them. It was very inspiring. I’d say always stay true to yourself. There are a lot of people out there who want to see you fail, who are in it to make a quick buck or just don’t have your best interest at heart. You need to know who you are, what you want to do and just go for it! Don’t be afraid to try new things: When I made a switch from pop/rock to electronic –dub step it was scary and didn’t know how my fans would take it, but in the end it was a nice change and they loved it! It was cool to experiment but I felt happier in the pop/rock genre. Don’t be afraid to stand up for yourself: I was shy and naïve when I first started and was influenced quite a bit by other band members, producers or companies that I was working with. Wasn’t until a few years ago that I grew a backbone and wasn’t afraid to voice my opinions. Sure some companies don’t like it when you do it, but ultimately in the end it’s your name and your music being put out there. You have to be 100% behind everything you do and that means standing up for what you believe in. Have fun on stage: When I started it took everything extremely seriously and it showed when I performed. You can now see how having fun on stage translates to the audience. They see you having fun, then they have fun! Everyone is replaceable: I had this notion that my band members, my team, and my friends (at the time) where going to be there with me forever. You’re only as good as the team you have behind you. It was tough but I had to make the choices to find other or more accomplished musicians, a team that supports my vision and/or friends that actually wanted to come see me for my music instead of a free ticket. If they don’t have your back 100% of the time, then they aren’t worth your time. Go after what you want: I wanted to play Lady Gaga’s Official VIP After Party in 2013 for the Born This Way Ball and I did everything I could to contact the organizer. Social Media, Emails, Phone Calls. It was a great opportunity to play the event and open for DJ Lady Starlight which opened more doors. If you want it bad enough, just go for it! Lady Gaga or Max Martin.